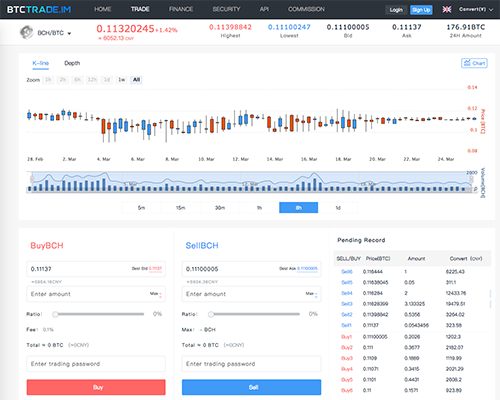 BTCTRADE.IM is a professional digital currency trading platform. BTCTRADE.IM is founded by a professional and experienced team and devotes to offer a safe, reliable, fast and convenient service to global users. We support the deposit, withdrawal and trading of digital currencies and also provide the lastest news and market information to users.